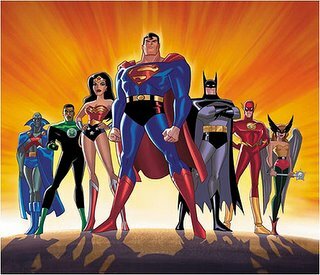 Dwayne holds our hands, as we fans fret about the future of Justice League Unlimited on Cartoon Network , giving us a preview on the upcoming 9 new episodes (and yes, they are coming). Plus we'll talk about Static Shock, Damage Control, and Dwayne's latest comic effort , the new Fantastic Four Special with artist Casey Jones. Another fantatsic in-depth conversation.